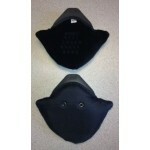 Replace your lost or damaged Giro Ski Snow Ear Pads with an OEM genuine Giro Replacement Part. Many of the Giro Ear Pads will fit other helmets if the attachment system is the same. If you find that your Giro helmet is not included below we might just have a genuine Giro replacement that will work for you. The portion where the ear pads "snap into" your helmet is the critical point. Close or almost the same will not work, the attachment system must the same. Giro 540: The Giro Encore is a compatible replacement. Please note the Giro Encore does not have snaps to attach to the chin strap. Giro Bad Lieutenant: The Giro Encore is a compatible replacement. Please note the Giro Encore does not have snaps to attach to the chin strap. Giro Edit: The Giro Nine is a compatible replacement. Giro Flare: The Giro Nine is a compatible replacement. Giro Lure: The Giro Nine is a compatible replacement. Giro Montane: The Giro Nine is a compatible replacement. Giro Nine.9: There IS NOT a Giro compatible replacement. Giro Omen: The Giro Fuse is a compatible replacement. Giro S4: The Giro Encore is a compatible replacement. Please note the Giro Encore does not have snaps to attach to the chin strap. Giro Sonic: There IS NOT a Giro compatible replacement. 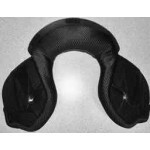 Giro Avance MIPS Ear Pads Neck Roll: Replace your lost or damaged Giro Ski Snow Ear Pads. 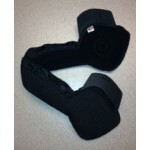 ..
Giro Battle Ear Pads: Replace your lost or damaged Giro Ski Snow Ear Pads. 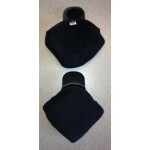 Includ..
Giro Bevel Ear Pads: Replace your lost or damaged Giro Ski Snow Ear Pads. Include..
Giro Chapter 2 Ear Pads: Replace your lost or damaged Giro Ski Snow Ear Pads. Inc..
Giro Chapter Ear Pads: Replace your lost or damaged Giro Ski Snow Ear Pads. 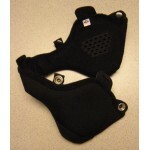 Inclu..
Giro Combyn Ear Pads: Replace your lost or damaged Giro Ski Snow Ear Pads. 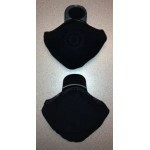 Includ..
Giro Crue Ear Pads: Replace your lost or damaged Giro Ski Snow Ear Pads. Includes..
Giro Decade Ear Pads: Replace your lost or damaged Giro Ski Snow Ear Pads. Includes Gi..
Giro Discord Ear Pads: Replace your lost or damaged Giro Ski Snow Ear Pads. Inclu..
Giro Edition Ear Pads: Replace your lost or damaged Giro Ski Snow Ear Pads. Inclu..
Giro Ember Ear Pads: Replace your lost or damaged Giro Ski Snow Ear Pads. 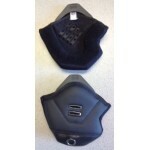 Include..
Giro Encore 2 Ear Pads: Replace your lost or damaged Giro Ski Snow Ear Pads. Includes ..
Giro Encore Ear Pads: Replace your lost or damaged Giro Ski Snow Ear Pads. 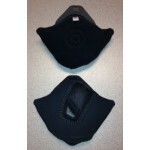 Includ..
Giro Era Ear Pads: Replace your lost or damaged Giro Ski Snow Ear Pads. 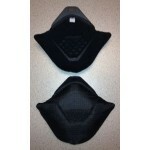 Includes ..
Giro Era MIPS Ear Pads: Replace your lost or damaged Giro Ski Snow Ear Pads. Includes ..
Giro Fuse Ear Pads : Replace your lost or damaged Giro Ski Snow Ear Pads. 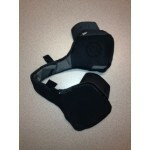 Includes Gir..
Giro G10 Ear Pads: Replace your lost or damaged Giro Ski Snow Ear Pads. Includes ..
Giro G10MX Ear Pads: Replace your lost or damaged Giro Ski Snow Ear Pads. Includes Gir..
Giro G9 Ear Pads: Replace your lost or damaged Giro Ski Snow Ear Pads. 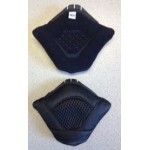 Includes G..
Giro Grove Ear Pads: Replace your lost or damaged Giro Ski Snow Ear Pads. Include..
Giro Launch Ear Pads: Replace your lost or damaged Giro Ski Snow Ear Pads. 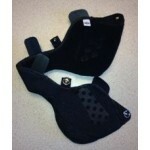 Includ..
Giro Ledge Ear Pads: Replace your lost or damaged Giro Ski Snow Ear Pads. 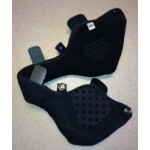 Include..
Giro Nine Ear Pads: Replace your lost or damaged Giro Ski Snow Ear Pads. NOTE: ..
Giro Nine Jr Ear Pads: Replace your lost or damaged Giro Ski Snow Ear Pads. 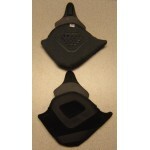 Inclu..
Giro Nine Jr MIPS Ear Pads: Replace your lost or damaged Giro Ski Snow Ear Pads. 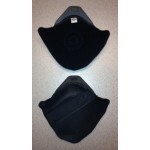 Inclu..
Giro Nine MIPS Ear Pads: Replace your lost or damaged Giro Ski Snow Ear Pads. NOTE: ..
Giro Nine.10 Ear Pads: Replace your lost or damaged Giro Ski Snow Ear Pads. 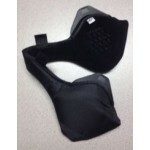 Inclu..
Giro Prima Ear Pads: Replace your lost or damaged Giro Ski Snow Ear Pads. 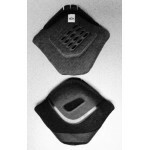 Include..
Giro Range MIPS Ear Pads: Replace your lost or damaged Giro Ski Snow Ear Pads. 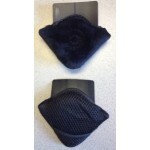 Include..
Giro Recruit 2 Ear Pads: Replace your lost or damaged Giro Ski Snow Ear Pads. Includes..
Giro Recruit Ear Pads: Replace your lost or damaged Giro Ski Snow Ear Pads. 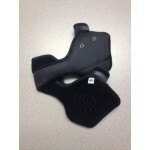 Inclu..
Giro Revolver Ear Pads: Replace your lost or damaged Giro Ski Snow Ear Pads. Incl..
Giro Rove Ear Pads: Replace your lost or damaged Giro Ski Snow Ear Pads. Includes..
Giro S5 Ear Pads: Replace your lost or damaged Giro Ski Snow Ear Pads. 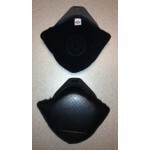 Includes G..
Giro S5 Jr Ear Pads: Replace your lost or damaged Giro Ski Snow Ear Pads. Includes Gir..
Giro Seam Ear Pads: Replace your lost or damaged Giro Ski Snow Ear Pads. 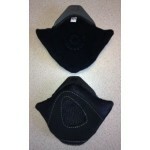 Includes..
Giro Sheer Ear Pads: Replace your lost or damaged Giro Ski Snow Ear Pads. Include..
Giro Shiv 2 Ear Pads: Replace your lost or damaged Giro Ski Snow Ear Pads. Includ..
Giro Shiv Ear Pads: Replace your lost or damaged Giro Ski Snow Ear Pads. Includes..
Giro Surface S Ear Pads: Replace your lost or damaged Giro Ski Snow Ear Pads. 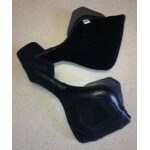 Includes..
Giro Tilt Ear Pads: Replace your lost or damaged Giro Ski Snow Ear Pads. 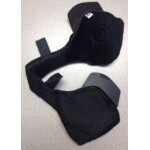 Includes..
Giro Union MIPS Ear Pads: Replace your lost or damaged Giro Ski Snow Ear Pads. 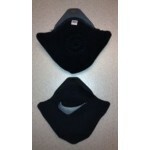 ..
Giro Vault Ear Pads: Replace your lost or damaged Giro Ski Snow Ear Pads. 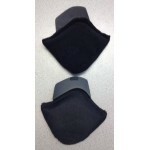 Include..
Giro Zone MIPS Ear Pads: Replace your lost or damaged Giro Ski Snow Ear Pads. Inc..